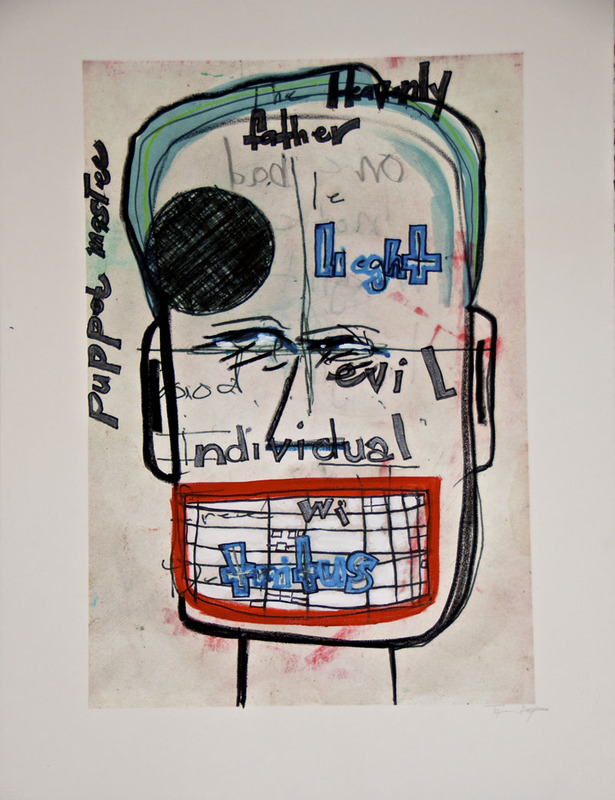 Paint on metal, 48" x 57"
Paint on metal 48" x 57"
Swiss monoprint, 30" x 22"
CUE is pleased to present visionary Detroit artist Tyree Guyton's first New York City solo exhibition. 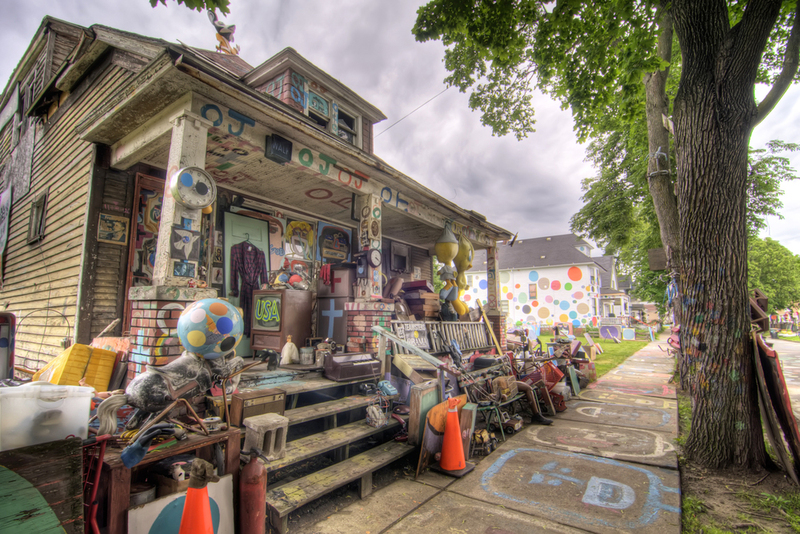 In 1986, Guyton founded The Heidelberg Project on an abandoned street on Detroit's East Side. The artist transformed a forgotten corner of the city into a vibrant, whimsical installation using found objects and house paint. Today, the project spans two city blocks, with polka-dotted houses and found object installations, with over 250,000 visitors every year. The site, which has been demolished twice by the city of Detroit and subsequently rebuilt, is also a non-profit organization that provides arts education to children and public programs for visitors. 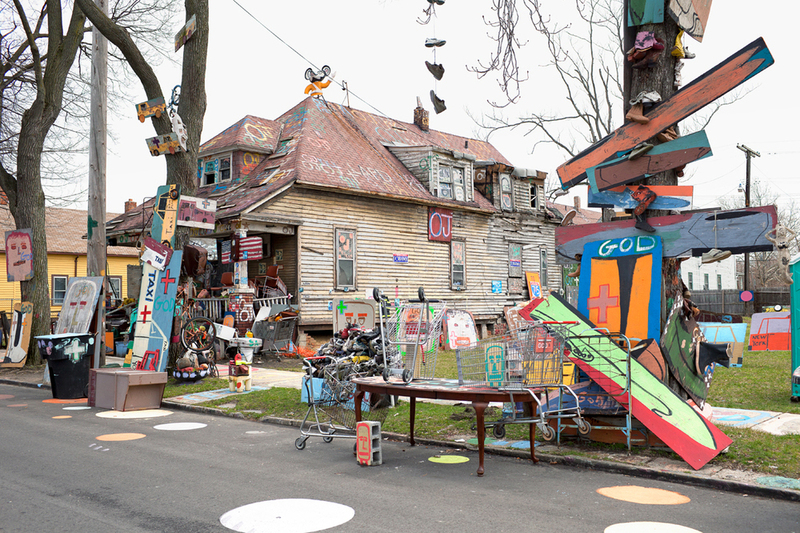 Through the Heidelberg Project, the artist draws attention to the plight of Detroit's forgotten neighborhoods, and spurred discussion and action. 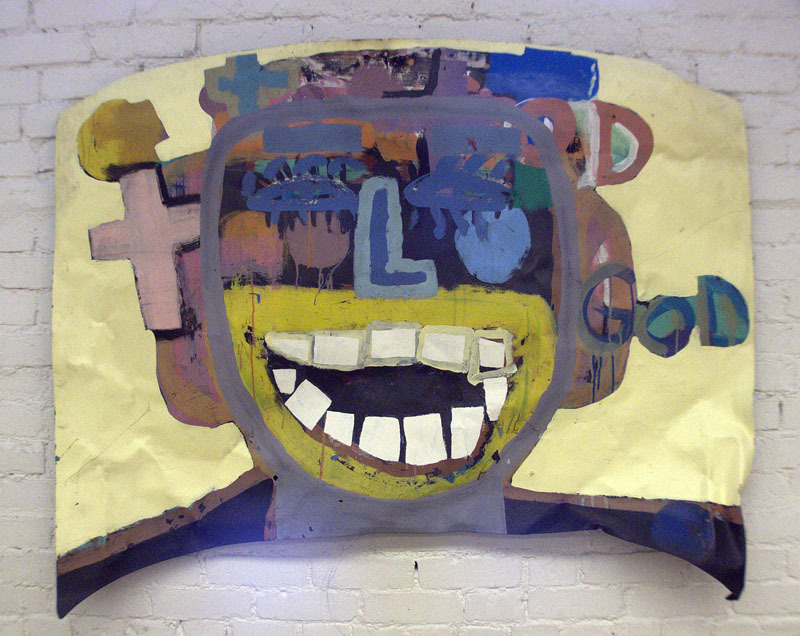 Guyton's work is held in collections worldwide including the Detroit Institute of Arts and the Studio Museum in Harlem. 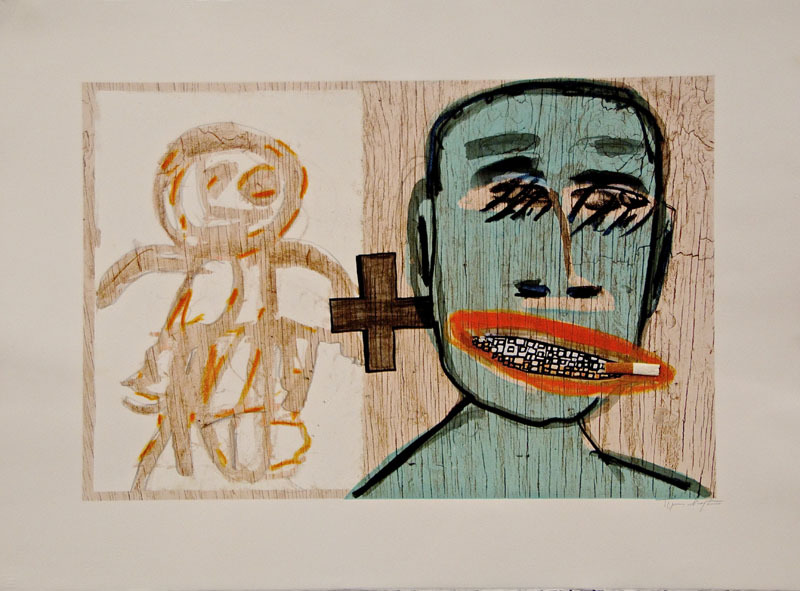 He was awarded an honorary doctorate from the College of Creative Studies in 2009, and recently completed the Laurenz Haus residency in Basel, Switzerland. His work has been featured in The New York Times, The Huffington Post, Time Magazine, the Boston Globe, and NPR's Morning Edition, among many others. For more information on the project, visit heidelberg.org. I strive to be a part of the solution. I see and understand how order is needed in the world and in our individual lives. My experiences have granted me knowledge of how to create art and how to see beauty in everything that exists. Even in the smallest molecule or things in this life that we can’t see, we are all bound by this same energy, we are all bound by gravity and we breathe the same air. I can see the evolution of life in everything, in every minute second. How beautiful it is to witness this process in action. What is beyond space and can we possibly look that far into ourselves? What is art? I ask myself this question over and over. Is my life an art form? I began to see and hear my own work in a new way that opened up my third eye of wisdom and my mind to see how everything is connected to this one source of energy or this divine power. I believe that it will take a lifetime for me to understand and appreciate this power. However, I find my art to be just like that power of creating energy in a negative space. It is this energy that becomes my focal point. The word composition, according to Webster’s Dictionary, means to form by putting together; to make up from many ingredients. 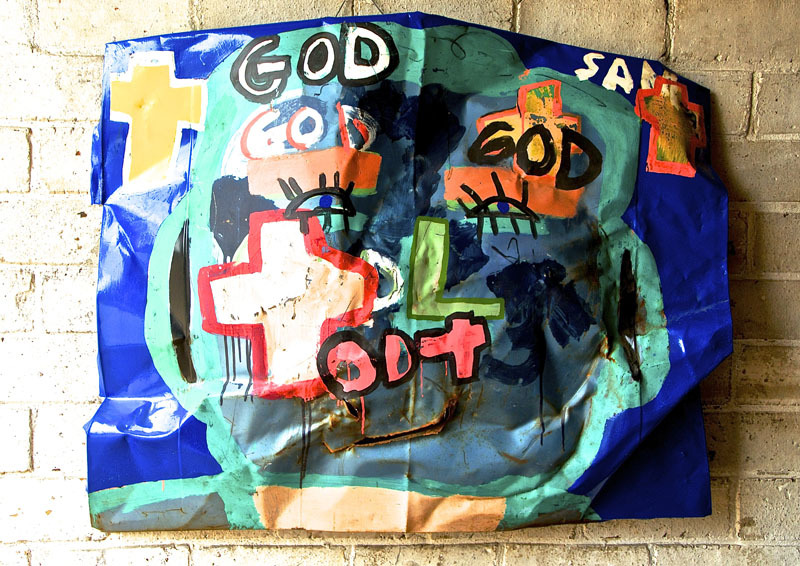 I have come to the realization that I have been called to create art that is unusual and compositional in form. The traditional and conventional way is a thing of the past. We live in a world full of corruption from the top to the bottom, values no longer exist and rules are broken everyday. For me, art is a way of expressing life. My work is a science that deals with colors, shapes, objects that bring about a rare beauty to the mind and eyes of people, a type of esthete. My art is life, life that lives on with time because the entire creation is an art form. I see magic in what I do as an artist. This magic helps me to understand how to create compositions of unusual taste. It’s a journey that keeps me searching to know more about life in general and my own life. The whole world is a stage and we, as humans, are playing our part—acting out our purpose.